GROUND FLOOR UNIT in Trafalgar Park, Nothing to do here but move in. This clean home features brand new carpet in both bedrooms, new never used ensuite, oversized master, spacious living room, oak kitchen cabinets and private patio. It's also fully wheelchair accessible. Trafalgar Park boasts conveniences like, a detached woodshop, recreation room, and a guest suite. 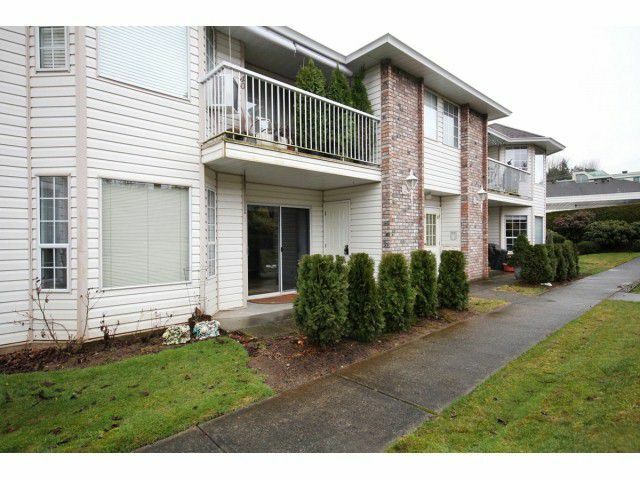 To top it off, this complex is located in the heart of Abbotsford, and within walking distance to all amenities, 55+, no pets.-SUCCESSFULLY BROUGHT THE BUYER!